On 17 and 21 October everyone was invited to attend lectures “Holy monster Lars von Trier” by film critics Normunds Naumanis and Dita Rietuma and “Cinema of Norwegian Housewives” by Jan Erik Holst, the director of Norwegian Film Institute Foreign Department. The lectures were part of the Nordic Film Days. 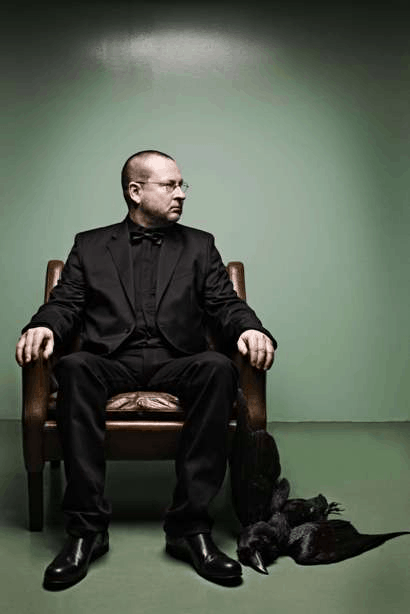 On Saturday, 17 October at 16:00, everyone was invited to attend the lecture “Holy monster Lars von Trier”. Film critics Normunds Naumanis and Dita Rietuma were discussing one of the brightest stars of European cinematography the Danish director Lars von Trier, whose latest film – the scandalous “Antichrist” that caused fiery discussions at this year’s Cannes International Film Festival – has finally made its way to Riga. Fragments from his earlier films will also be shown. The lecture hopefully prepared the listeners for the “Antichrist” premier in Latvia that took place on the same day – 17 October. “Antichrist” soon was shown at cinema “K.Suns”, at 22:00 as part of the Nordic Film Days. This was the first Saturday of the Film School at Kim?, but hopefully it will become a tradition – hopefully it will become the place and time where and when people can talk about films and also watch them. On Wednesday, 21 October at 19:00, Jan Erik Holst, the director of Norwegian Film Institute Foreign Department, was lecturing on the fascinating and little know cinema of Norwegian housewives.